Snowy trees. 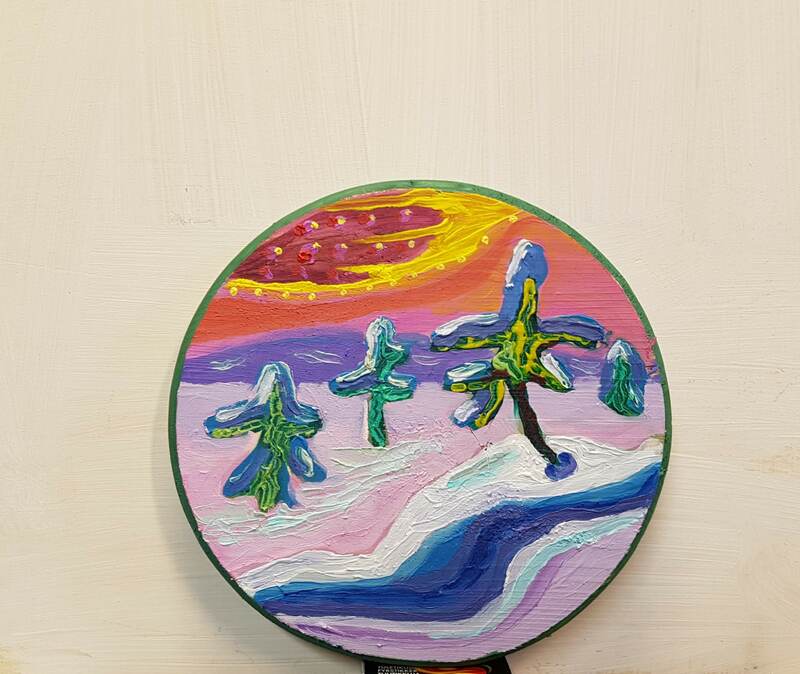 painted on the wooden disc. Payment via MOBILEBAY available too.